In today’s digital age, I’m amazed newspapers still exist in paper-form. Although some newspapers are created using recycled materials, they still end up in the landfill due to many who fail to recycle. So do the world a favor, switch to a ‘digital newspaper,’ such as PressReader. PressReader is an iOS application for the iPhone, iPod touch, and iPad. Around the world over 2,200 newspapers are available for reading via the application. 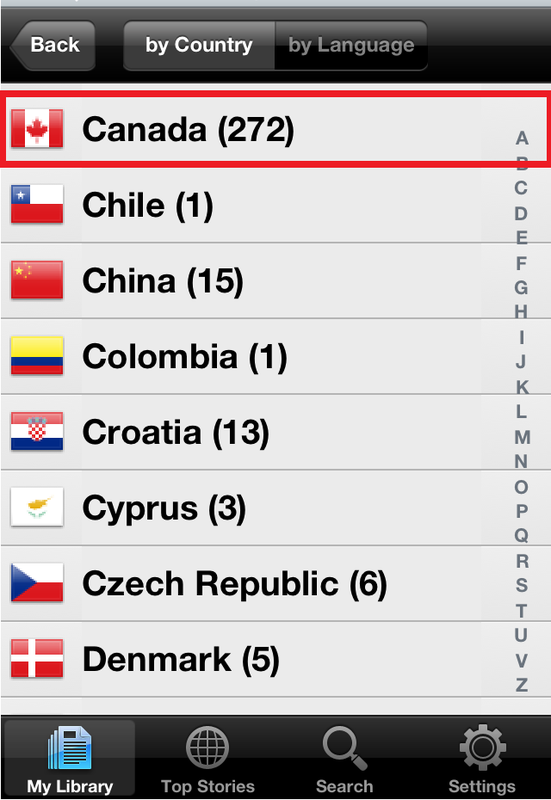 Canada alone has 272 publications, including the Toronto Star, The Vancouver Sun, Globe and Mail, and Calgary Herald. Over 250 of the publications are updated on a day-to-day, or week-to-week basis. The user interface is flawless. 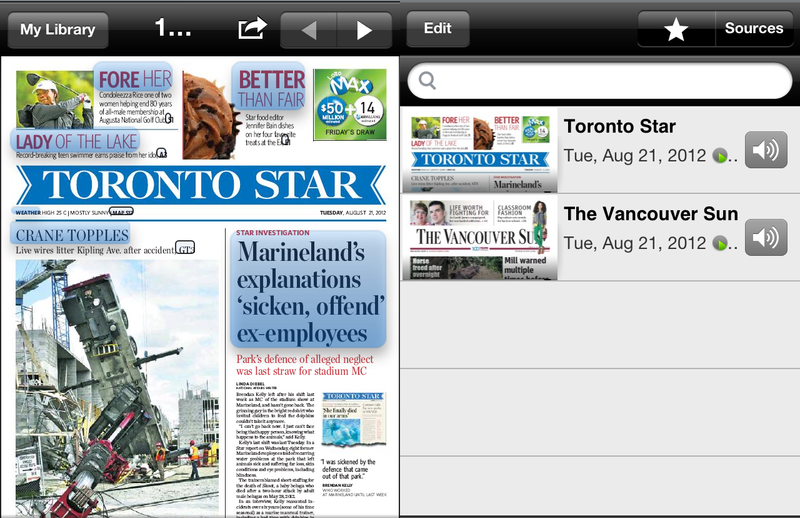 You can add newspapers into your library by tapping the “sources” tab at the top right of the screen. The newspaper is comparable to a PDF-reader; functionality allows you to zoom-in to receive a larger view of the content. Tapping on the title of specific articles brings up a plain-text view, in which makes the article much easier to read. Users wishing to instantly receive an updated version of specific newspapers can opt-in for ‘auto-delivery.’ Those who turn the auto delivery option off will have to manually download the latest publications. Browse and read full digital replicas of thousands of newspapers and magazines from 97 countries just like you would in print. Or journey through the attention-grabbing SmartFlow stream of articles where visual clues will not only enhance your reading experience, they will reveal new gems of content you’ll be delighted to discover. Although you do receive 7 single newspaper issues free of charge upon downloading the application, any additional newspapers can be purchased for $0.99 an issue, or $29.95 per month (with access to all 2200 newspapers). As a blogger, I love reading and staying up-to-date on news. The performance of PressReader is phenomenal. I am not a huge fan of using the application on my iPhone, but with my iPad I can see content clearly without zooming. Everything from the newspaper style to the main user interface is perfect. The only feature I won’t find myself using is the “listening to articles” function. My attention span completely vanishes upon listening to articles aloud. Click here to download PressReader free of charge, the application is universal for both the iPhone and iPad.